We see it play out in gyms and Boxes around the country. Every year, well-intentioned people flock to their fitness center of choice planning for this to be the year they change their habits, kick things into high gear, and meet their fitness goals. They hit the gym hard in January, but as the months go on, attendance drops, and suddenly that time slot is no longer packed or that machine you used to have to wait in line for no longer has a line. So where does everyone go? What happened to their plans to make this year THE year? Usually, one’s decrease in frequency of attendance is sparked by a change of some sort. It could be a new work schedule, a new little one at home, an injury, or other life events that creep up and get in the way. You miss a class here or there, which turns into a week or more off. Before you know it, you’ve forgotten how to get to the Box. While it certainly is easier to catch yourself before things start sliding out of control, even with a lengthy absence, it’s never too late to come back. Here are some things to keep in mind if you find yourself starting to slip or if you’ve been away for a while and want to get back into it. Realize that falling off the horse is normal. Life gets in the way, injuries happen, and any number of things may tempt you to put away your minimalist shoes for good. Don’t get down on yourself because you slipped up. Figure out what caused your interruption and address it. Try a different time slot if your schedule has changed. Talk to or schedule a private session with Dave or Amanda if you have an injury. 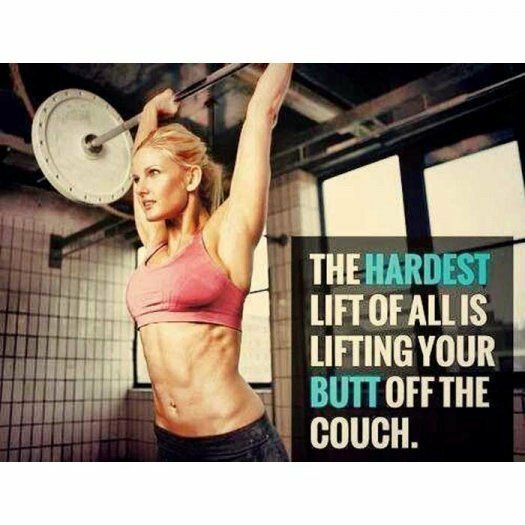 If you weren’t seeing the gains you had hoped for, talk to a coach and see what changes you could incorporate. Make plans, not excuses. Make working out a priority again. Schedule a time to get in the Box and stick to it. If you have a tendency to cherry pick WODs, don’t even read the next day’s workout. Decide to go, set your gym clothes out, and figure out what you’re doing once you arrive. Everything can be scaled. Whether it is a movement you’ve yet to master or an injury that is preventing you from a certain lift, we have an alternate exercise for you. Your goal should be to get in the Box at least three times a week for maintenance. More is better. Schedule in rest days as needed, but don't start taking unplanned skip days. Reboot your diet. Lack of gym attendance and poor eating choices go hand in hand. Now is a great time to get back to a healthy eating regimen. It will only make your return that much easier. We are wrapping up the Numbers Don’t Lie Challenge, but that doesn’t mean you can’t follow the Challenge rules yourself. Talk to Amanda and schedule a time to discuss your body composition goals. She can help design a plan to get you there. Utilize support. One of the best things about CrossFit is its social aspect. What better way to spark your return to regular attendance than to get a friend to join CFF and attend with you? We are a family and when you attend class at a regular time, you start to bond with the people in that class. Allow them to help motivate you to get in the Box. For those of you who notice a few faces missing from your regular class session time, hit them up. Remind them they are missed and encourage them to join you at your next WOD time. Sometimes a simple message from someone acknowledging your absence is all it takes for you to turn things around.